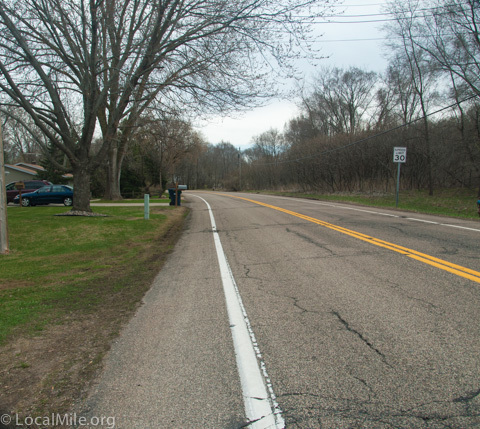 Vadnais Heights has a rare and valuable opportunity to obtain right-of-way along a key road in desperate need of a segregated bicycle and pedestrian path. 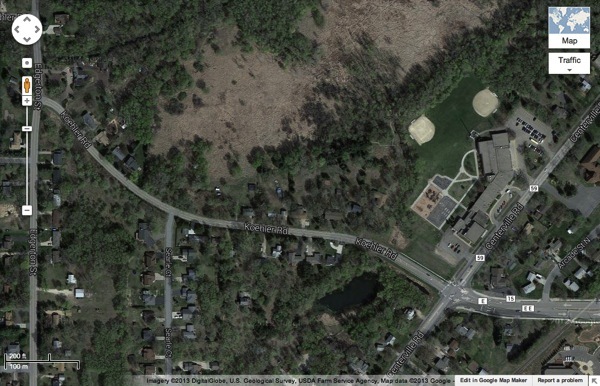 Koehler Road and Vadnais Elementary School. For many in the western part of Vadnais Heights, about a third of Vadnais residents, one road, Koehler Road, provides the most reasonable and direct access for walking or bicycling to Vadnais Elementary School and to retail stores in Vadnais’ Center District. Koehler though, has numerous curves, narrow shoulders with numerous potholes and mailboxes extending in to the shoulder, and moderately heavy traffic that is often traveling 35 – 40 mph. Increasingly over the past three decades, parents have become wary of allowing their children to walk or ride their bicycles to school because of their concern about the safety of doing so along Koehler. Adults and children have also chosen not to ride their bicycles to the school or to local retail stores due to these same, very understandable, safety concerns. A segregated bicycle and pedestrian path along the north side of Koehler would allow safe and direct access to Vadnais Elementary School and provide a very critical link in a safe bicycle and pedestrian network in Vadnais Heights. 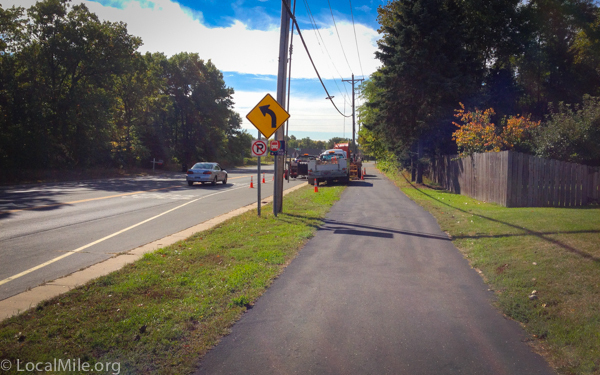 A major issue with building any bicycle and pedestrian path is obtaining right-of-way from adjacent property owners. Increasingly, property owners have realized the increased value that these paths bring to their property which makes the acquisition process easier, but there can still be hurdles. The owner of a large parcel of land along the north side of Koehler is currently trying to obtain variances to sub-divide this land for building five to six single family houses. Now, while these lots, sizes, and setbacks are being determined, is the time for Vadnais Heights and Ramsey County to obtain any right-of-way necessary for a future path along Koehler. After the variances have been granted and legal work concluded, this will be much more difficult. If you have an interest in seeing Vadnais Heights develop safer bicycle and pedestrian facilities, contact Vadnais city council members and Ramsey County commissioners with your interest in seeing them obtain any necessary right-of-way while this opportunity is available. Providing this safe route to Vadnais School, which will allow children to safely walk or ride bicycles, will provide numerous benefits including improved health and academics, two areas in which our children are far behind other developed nations. This could also improve property values in Vadnais Heights as increasing numbers of buyers look for communities that are safe for walking and riding. For more on why this is important, read Why Bicycle and Why Bicycling Is Good on the right side of this page. For more on Vadnais Heights pedestrian and bicycle infrastructure read Vadnais Heights: Seven Wishes. 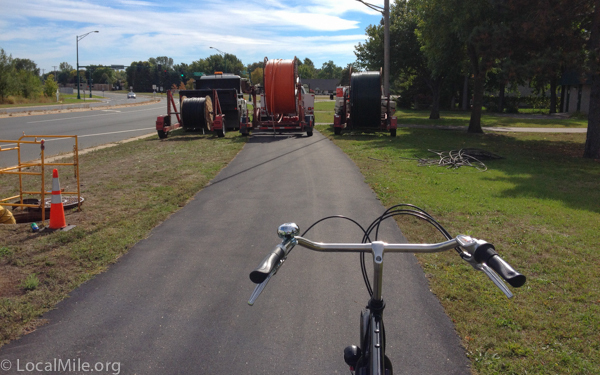 We’ve had a lot of utility construction along the Hodgson path in Shoreview the past few weeks . Most of the companies have been quite good about not blocking the path. One company that couldn’t avoid having a truck in the path also did a good job of creating a little detour in to the street with cones for path users that was very much appreciated. Yesterday, as I was riding down the path to lunch, I saw some guys from a new company moving their trucks out of the path. He said he’d never seen anything like it. “Someone rides by here every couple of minutes.” he said with some bewilderment. He went on to describe the hundreds of school kids, people who looked like they must be 100 but were riding a bike, and everyone in between. I guess Shoreview’s paths are working!